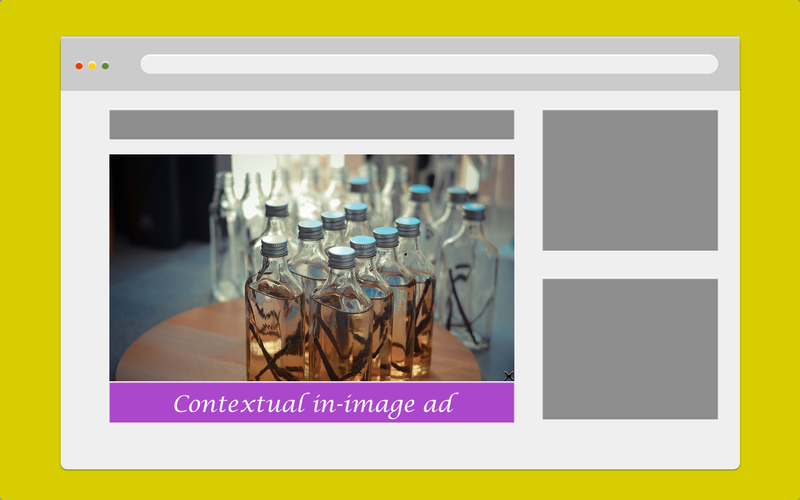 In our first part of our “Introduction to In-Image Ads for Ad Networks”, we explored the challenges facing traditional banner ads. We concluded by introducing a more dynamic and, potentially, lucrative ad product that you, as an ad network, can add to your portfolio of ads products to help your publishers earn better returns: in-image ads. … in-image advertising is increasingly becoming a standard line item on display advertising media plans and a significant new source of revenue for editorial content publishers. As the web is populated with more and more things, our ability to consume information is going to be limited by how much we can absorb. This is a problem for text in general and the word-based web in particular. Why? We are built to process visual data. When we walk into a room, we look around and almost instantaneously make a careful assessment about our surroundings (for example, we notice who’s sitting where). With text, though, we have to read, internalize and contextualize. That’s three steps; but visual elements only require one. The reason Pinterest has taken off is that images are so much easier and faster to navigate. That’s why the web is increasingly becoming visual. The old adage about a picture’s worth in words hardly does justice to the power images can have over a website’s conversion rate. After all, researchers have found that even irrelevant images can help strengthen a product’s value proposition. Ads appear inline in the content visitors are reading and can enhance the visitor’s experience of the content. Another benefit of in-image ads is that your publishers don’t need to decide between in-image ads and your more traditional banner ads products. Consider in-image ad products as add-ons to existing your display advertising product options. When choosing an in-image advertising platform to incorporate into your advertising product range, it is crucial to choose a platform that makes it easy for publishers to add new advertising products to their monetization options without disrupting their sites or incurring substantial technical overheads in the process. Another feature of effective in-image ads is that they take advantage of sophisticated programmatic advertising services to automate the process of placing relevant ads on images on publishers’ websites based on a contextual analysis of the content on those websites. imonomy’s semantic analysis, for example, goes beyond simple text recognition and extends to actually understanding the context of the web pages. For example, these systems would understand that an article on your website is about a new Jaguar luxury car and not the big cat native to Central and South America. Because in-image ads are applied to the images that form part of the content website visitors are reading, they are far better integrated into that content than banner ads that may appear alongside the content. In-image ads are mobile-friendly, more contextually relevant and the user experience is enhanced by the additional value these ads offer to consumers searching for a particular product, information about that product or interesting alternatives. 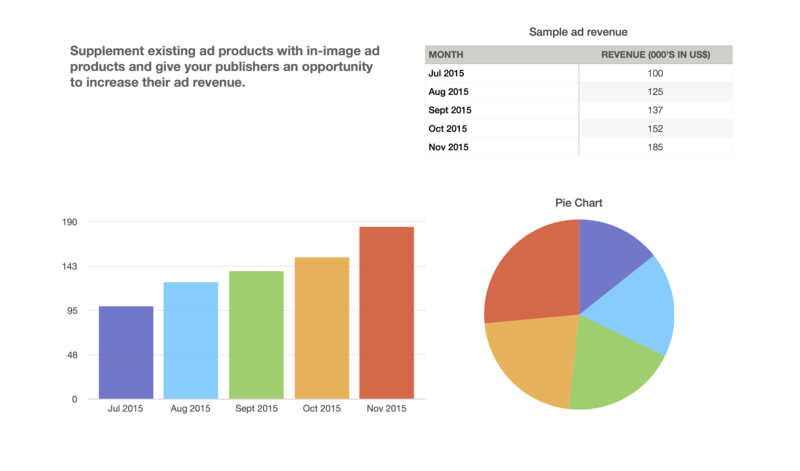 Another characteristic of a good in-image advertising solution is that it is fully configurable with the option of daily performance reports and insights into what advertisers are bidding for publishers’ inventory. Publishers should be able to set minimum bids. Of course, flexible business terms are a “must” for ad networks because it gives you additional flexibility to extend to your publishers and the options you create for them. Whether your publishers are more concerned about revenue generated from ads or the overall user-experience, in-image advertising products should accommodate both considerations and deliver dramatically improved revenue while providing a superior user experience. The question you should ask yourself is whether you can afford not to include these innovative and effective ad products in your advertising network’s ad product range?